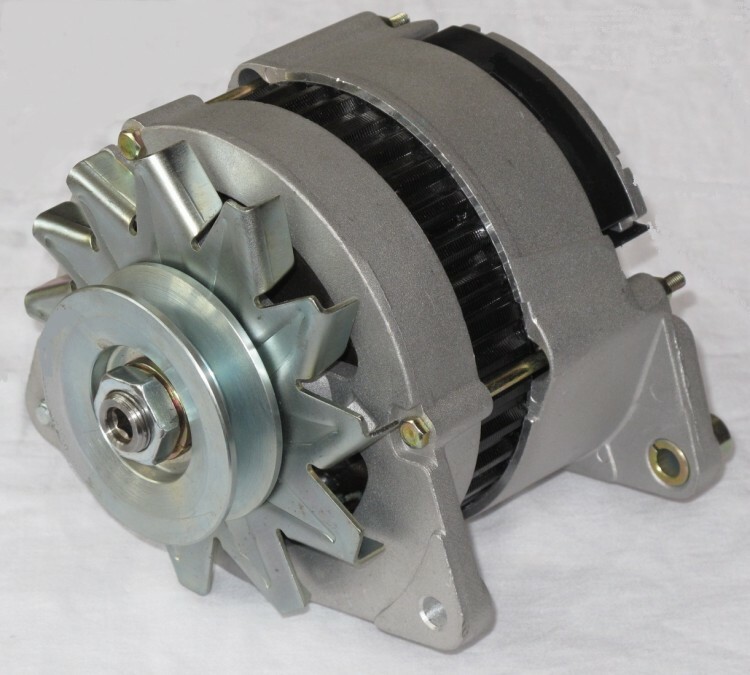 The Lucas 11AC and ACR alternators were fitted to huge range of cars in the 60’s and early 70’s and are still popular today. One drawback of these alternators was their limited output. If your Lucas alternator needs replacing or you need greater power output to drive additional electrical equipment then we have the answer. We are delighted to be able to offer this genuine OE Denso alternator which is the perfect replacement for your aging Lucas 11AC or ACR unit. This high quality alternator is a direct replacement for all of the Lucas 11AC and ACR units fitted with two mounting lugs and a single tensioning lug (for earlier models with a large single mounting lug please click here). Note – This unit should not be confused with the multitude of cheap imported copies which suffer from poor reliability and premature bearing failure. The Denso unit supplied by Fosseway Performance comes complete with a single V pulley and fan. It fits straight onto your existing brackets and uses the existing tensioner and fan belt making maintenance and adjustment simple. This unit is internally regulated which delivers a far higher degree of reliability than the original Lucas 11AC or ACR unit . We supply easy to follow instructions on how to wire the unit and retain the original regulator to maintain the under bonnet appearance of your car. We have an extensive range of alternator / dynamo pulleys to allow our charging systems to be fitted to the majority of cars including those with single ‘V’, double ‘V’, single ‘W’ and multi-groove belts. We can also supply a wide variety of tensioning and mounting brackets to help ensure your alternator is firmly attached.